Youth Noise began after two incredible marketers teamed up on several projects and realized there were an array of business owners who needed stronger online marketing. 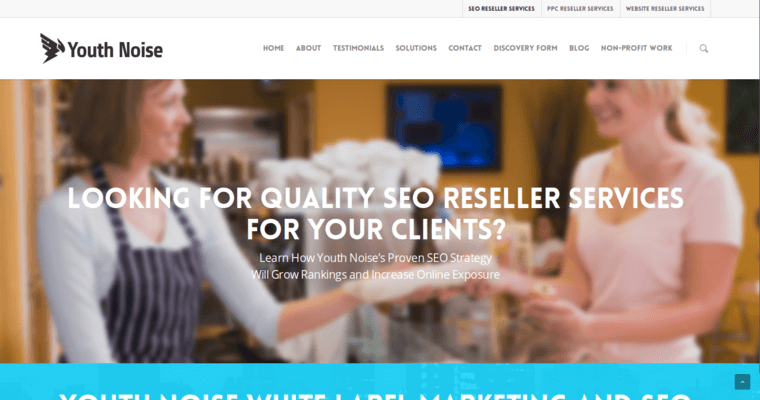 Utilizing a structured approach for different goals, Youth Noise is capable of offering you an incredible array of SEO strategies that guarantee growth and development. 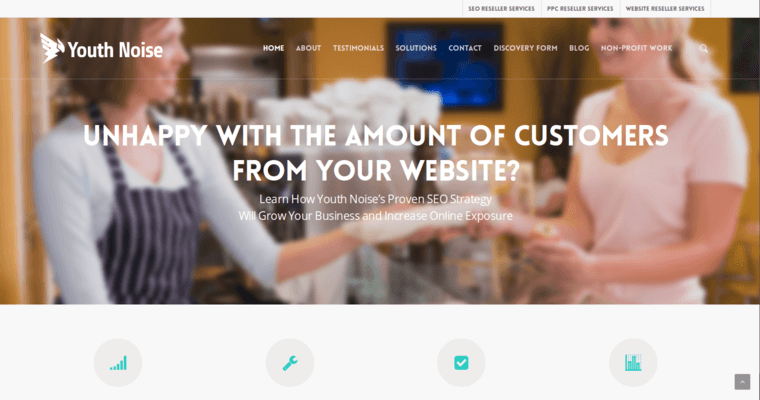 Youth Noise offers a mixture of SEO, PPC advertising, social media marketing, and web design, so they are a full-service digital media agency ready to help take your business to the next level. Their complex approach and talented artists all come together to help create brands that work for you. They never fail to create strategies that help businesses grow and function at its highest. 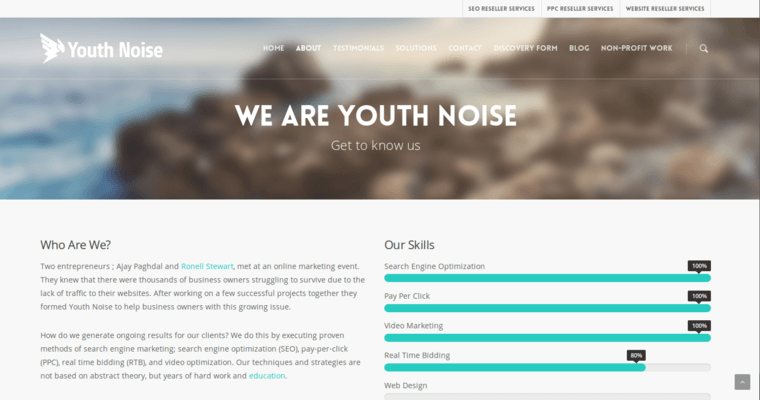 Youth Noise is one of the best SEO companies that provides top notch service and delivers results for any business no matter what industry they may be in. Working with them guarantees growth and more rankings online.